← How to Backup and Save Your Delicious Bookmarks? Call of Duty: Modern Warfare may be the title everyone talked about last time around. Now, Activision’s latest title Call of Duty: Black Ops has made $1 Billion in sales in just 6 weeks since launch. This is an amazing feat only achieved by movie Avatar. 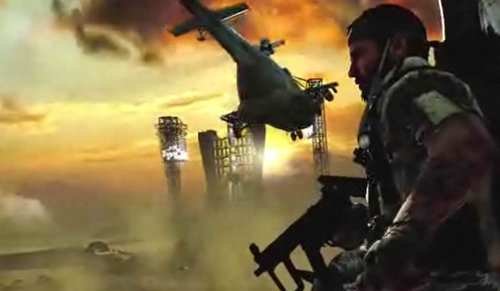 Call of Duty: Black Ops is available on all 3 major gaming platforms – Sony Playstation 3, Xbox 360 and Nintendo Wii. SANTA MONICA, Calif., Dec. 21, 2010 /PRNewswire/ – Activision Publishing, Inc. (Nasdaq: ATVI) announced today that Call of Duty: Black Ops continues to set sell-through records crossing the $1 billion mark in sales worldwide since its launch in November, according to internal Activision estimates. In its first five days alone, the game sold more than $650 million worldwide, outpacing theatrical box office, book and video game sales records for five-day worldwide sell through in dollars, according to internal Activision estimates and boxofficemojo.com. The game exceeded Activision’s previous five-day worldwide record of $550 million set by last year’s Call of Duty: Modern Warfare® 2. Kotick continued, “This extraordinary milestone was achieved because of the tens of millions of passionate Call of Duty players around the world. Global audiences have logged billions of hours online with Call of Duty games on Xbox LIVE, the PlayStation Network and on personal computers. This unique level of community engagement has enabled Call of Duty to become one of the world’s most engaged online communities. “Call of Duty continues to rewrite not just the record books, but also the rules of interactive entertainment,” says Eric Hirshberg, CEO of Activision Publishing. “Even more remarkable than the number of units sold is the number of hours people are playing the game together online which are unprecedented. Call of Duty is more than a game, it’s a true community.